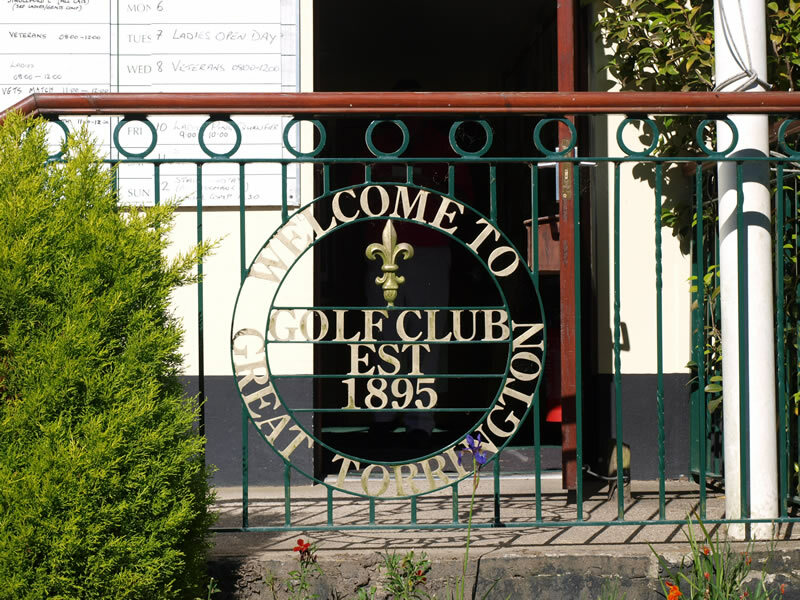 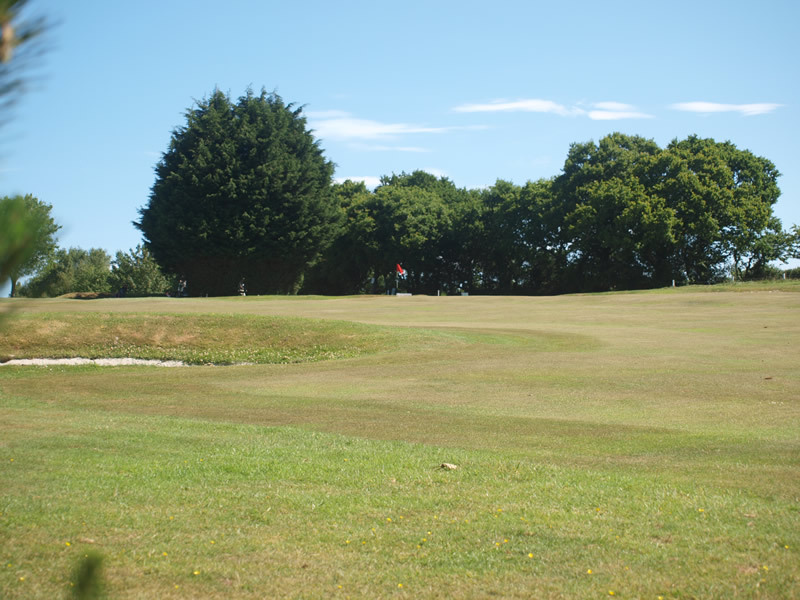 The First is a gentle starting hole, being a par four of just 300 yards. 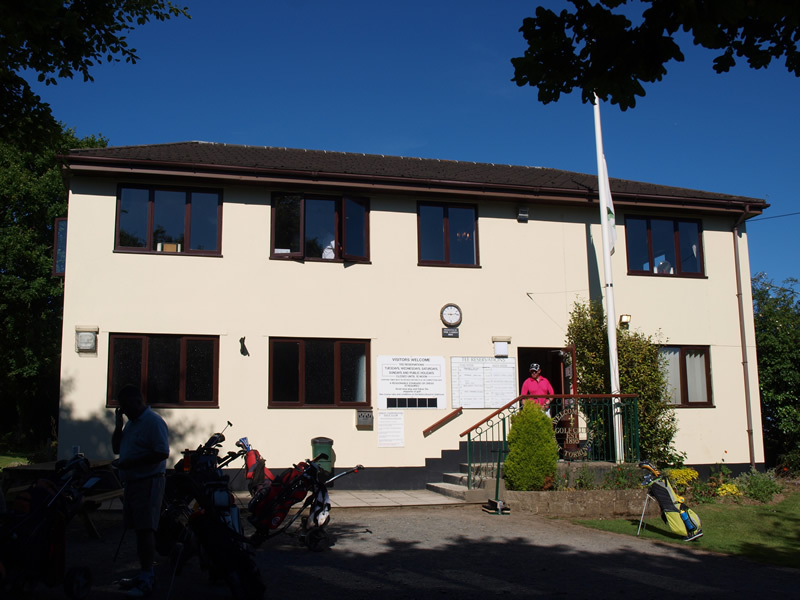 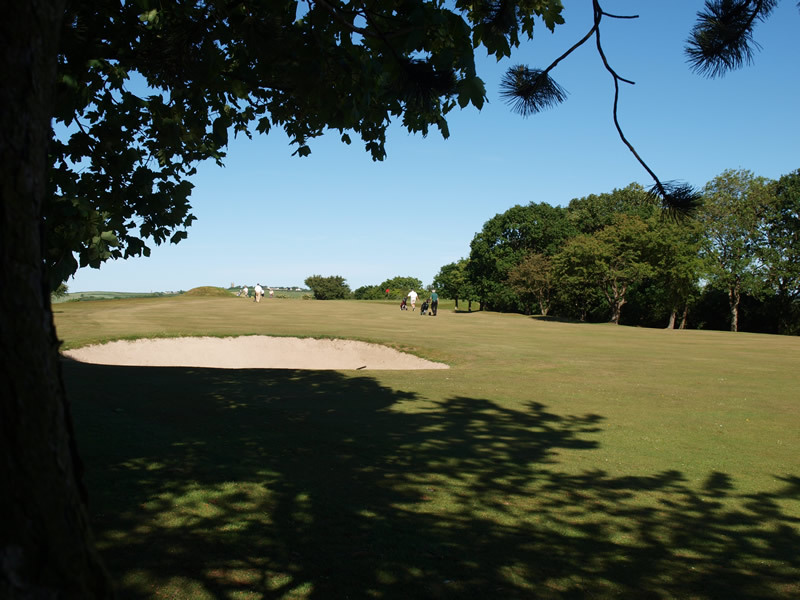 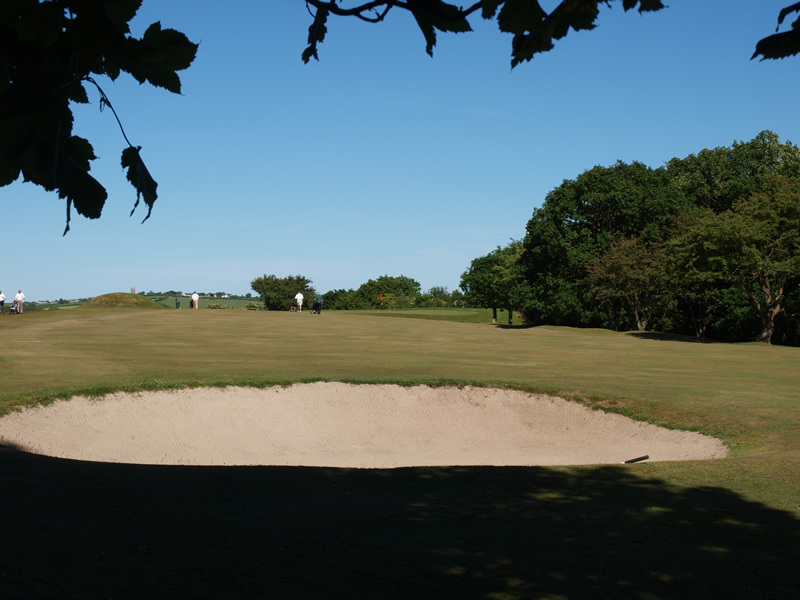 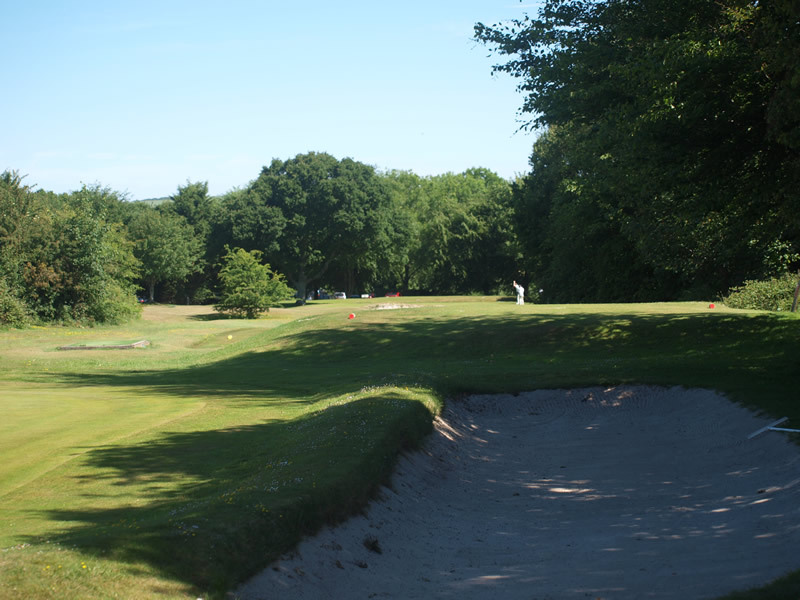 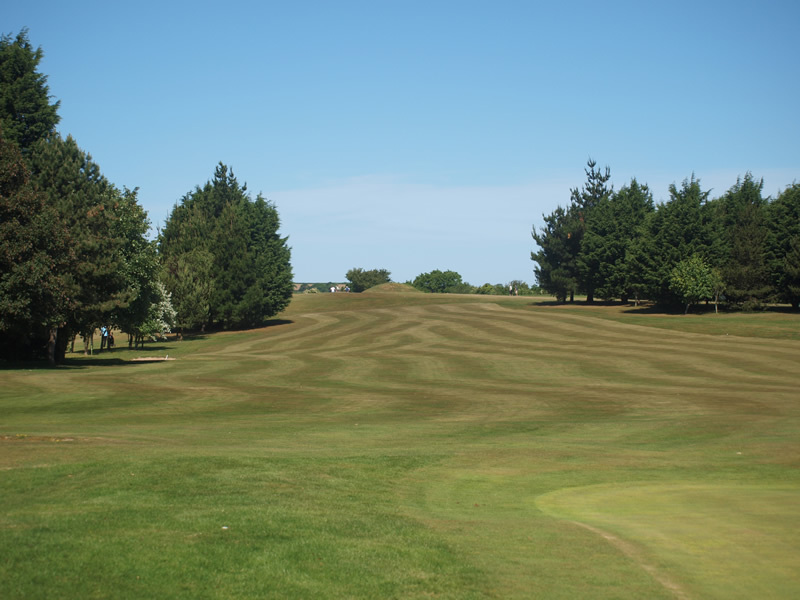 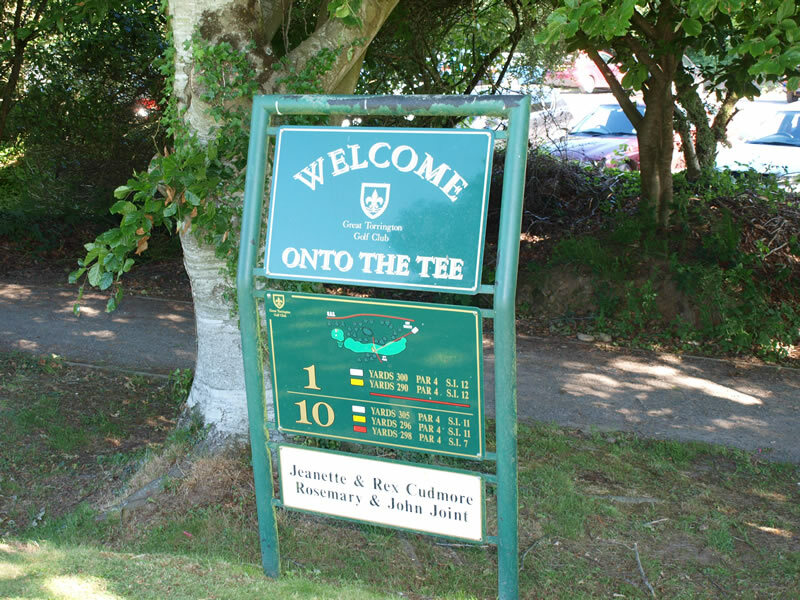 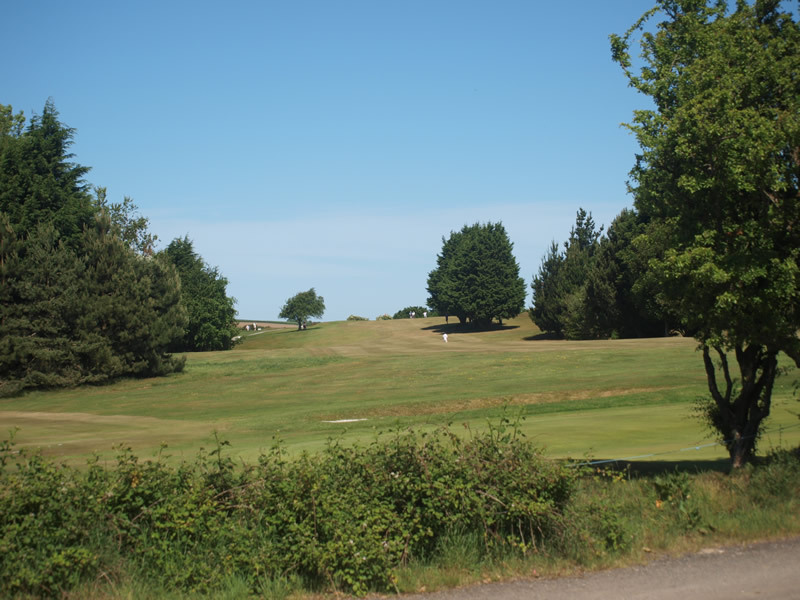 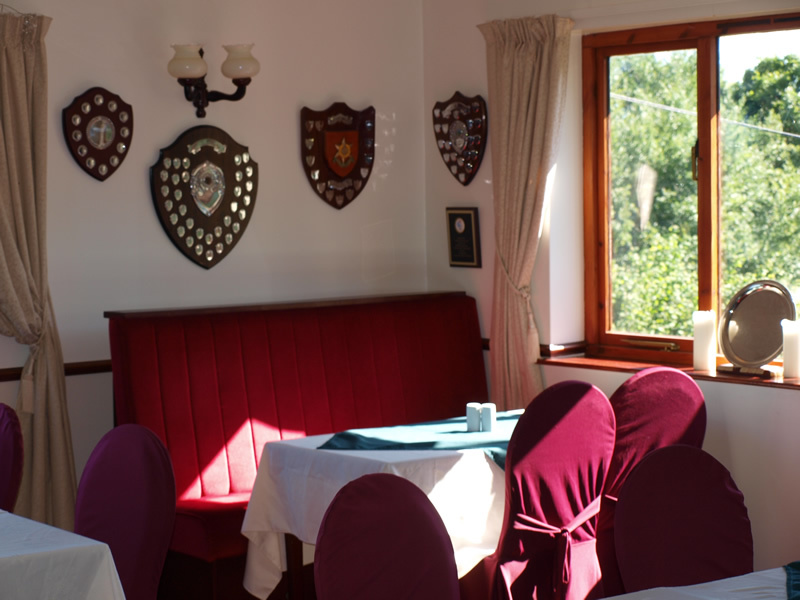 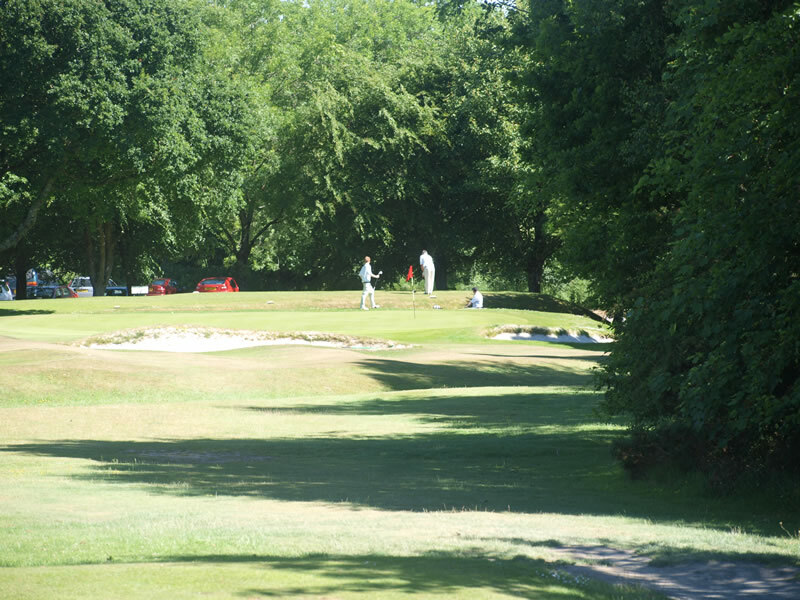 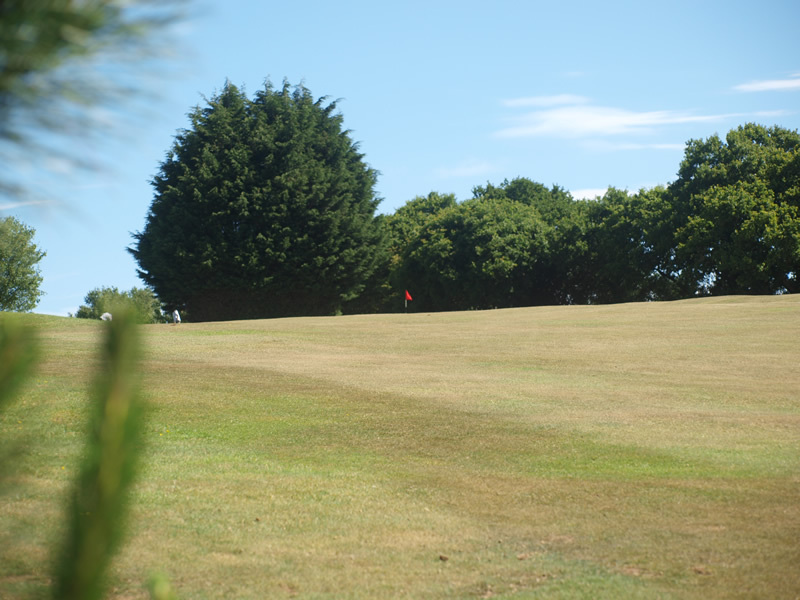 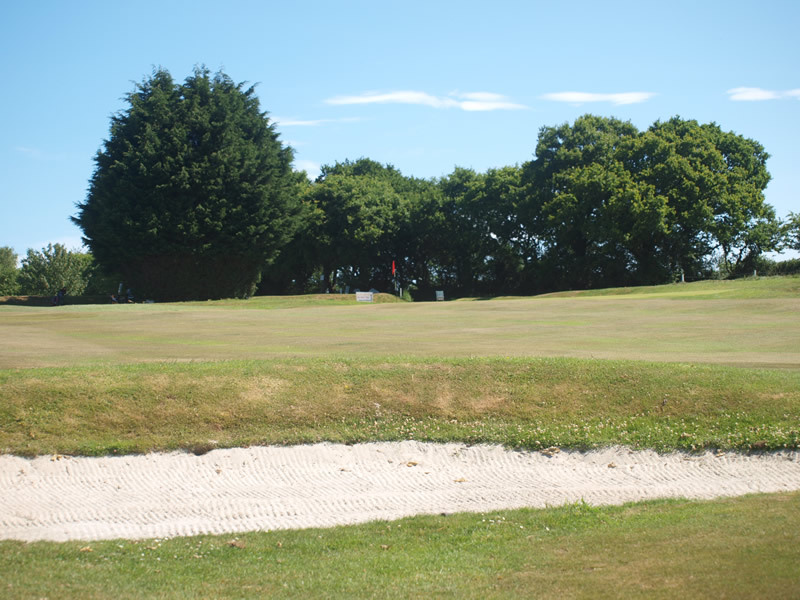 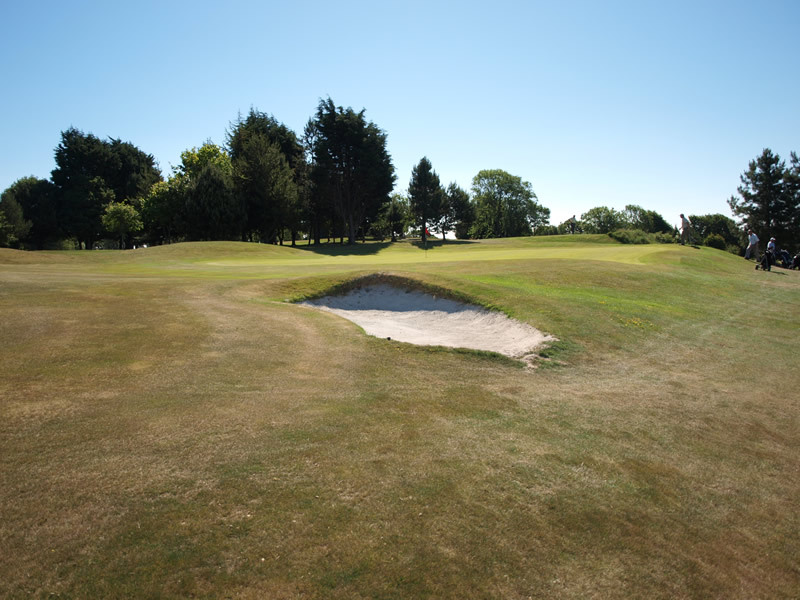 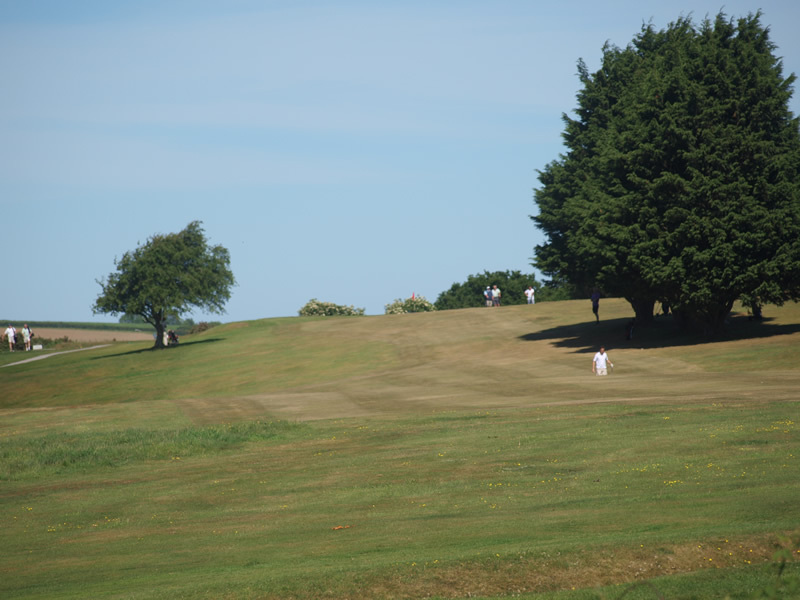 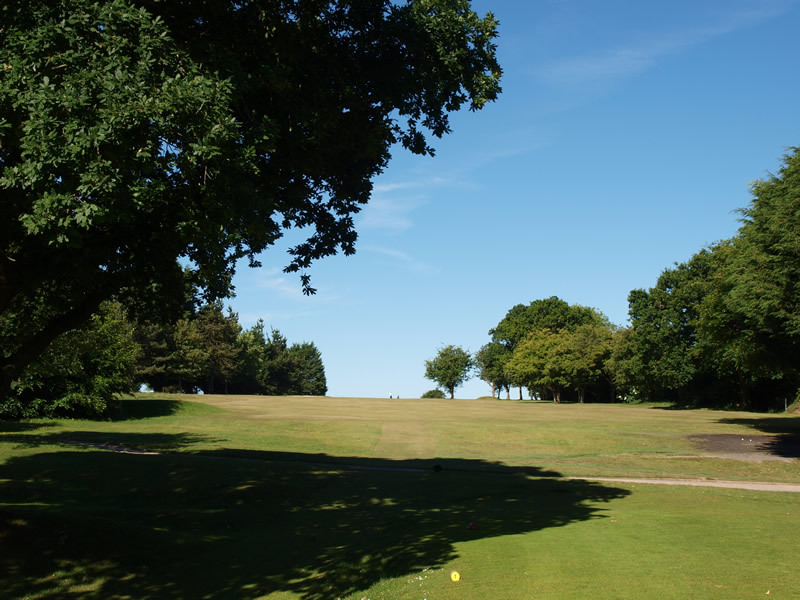 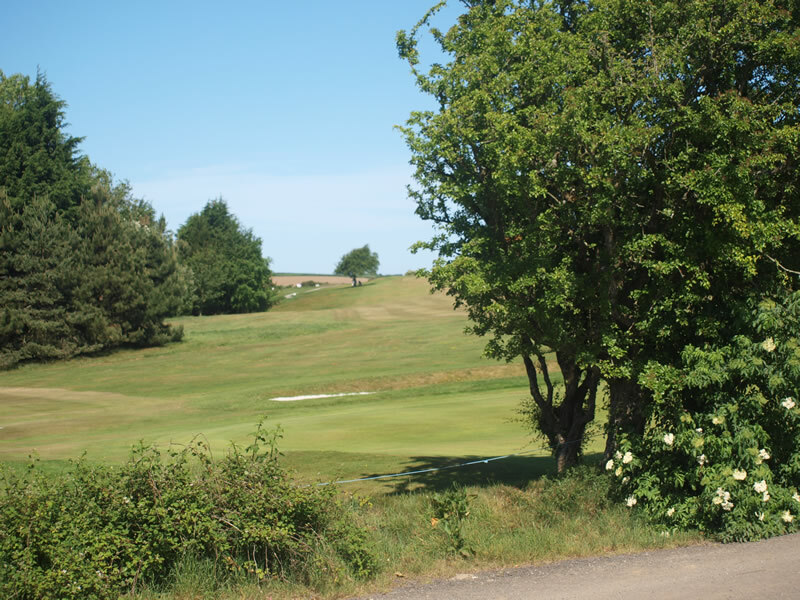 There is one bunker on the left hand side of the fairway, but it is best to avoid the right hand side, with an out-of-bounds the length of the hole, and some well developed trees to cause trouble to a wayward drive. 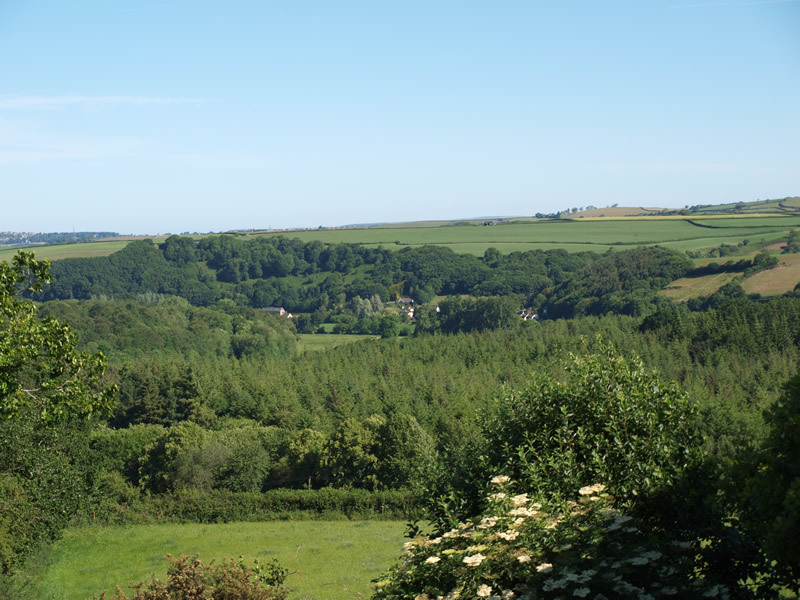 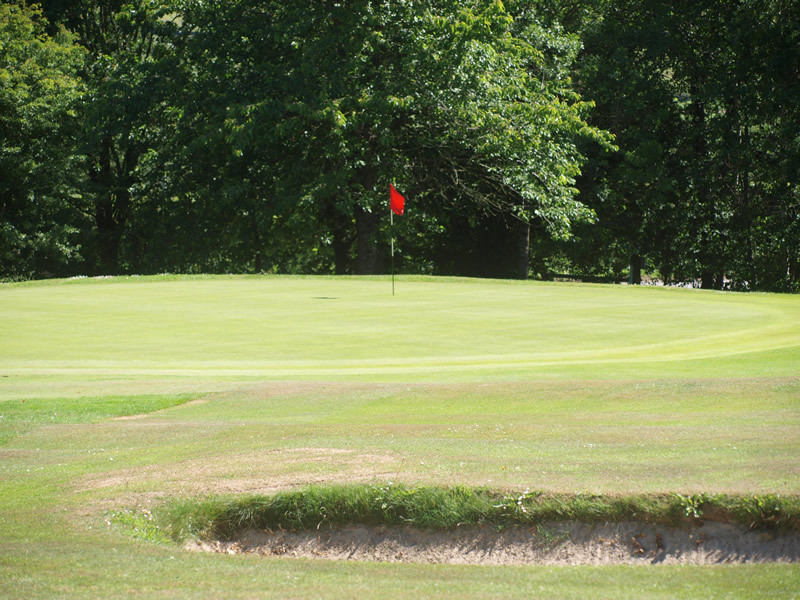 The green itself is quite large, but beware of being too long as severe trouble awaits. 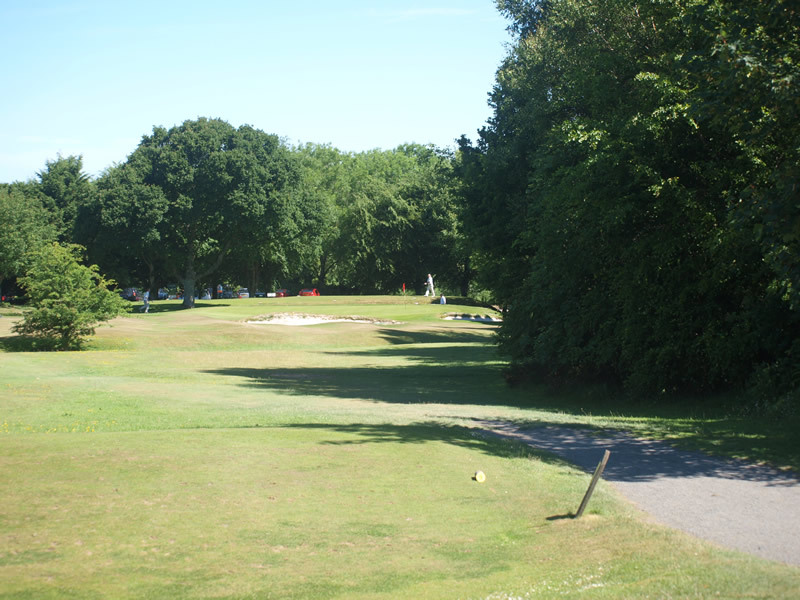 The Second Hole is a more challenging par 4 of 346 yards. 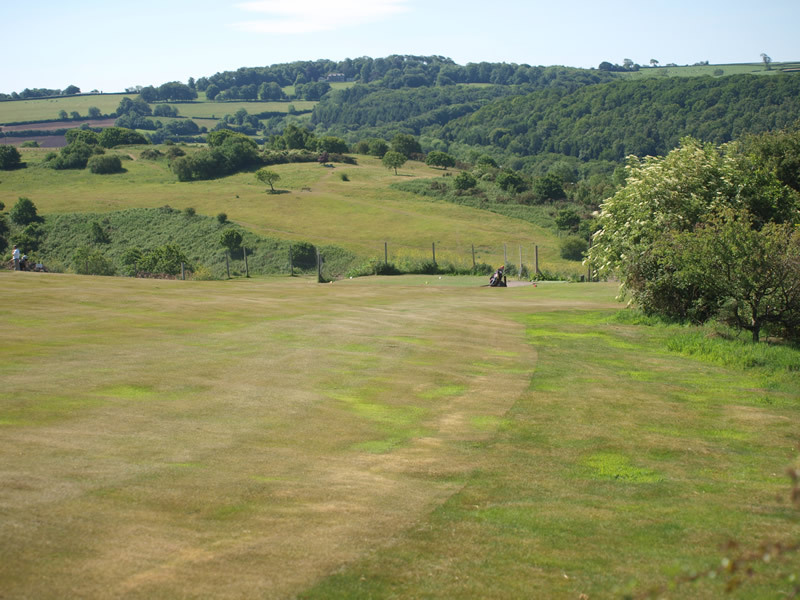 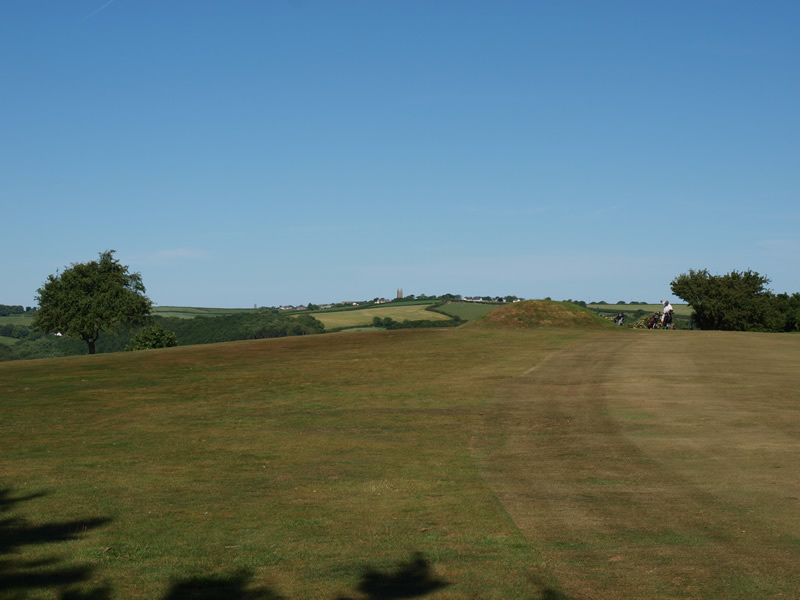 The raised tee gives a good view of the fairway, which narrows down around the landing area for an average drive. 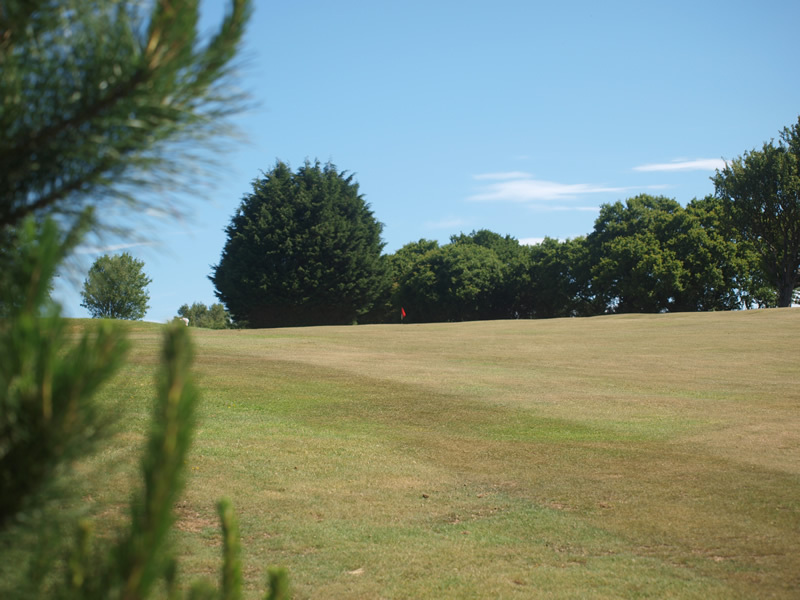 High trees on left and right can cause problems for a slightly wayward tee-shot. 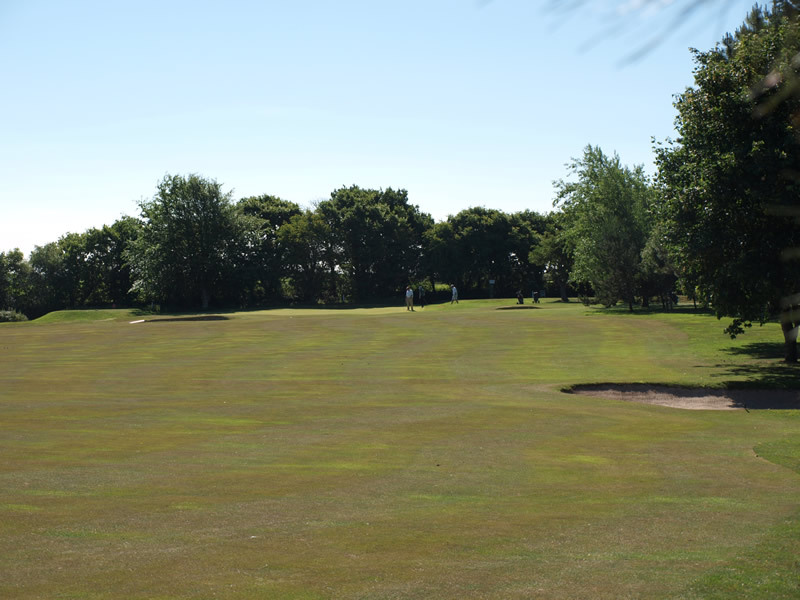 There is a fairway bunker on the right at some 100 yards from the green which is bunkered, front left, front right and right across the back of the green. 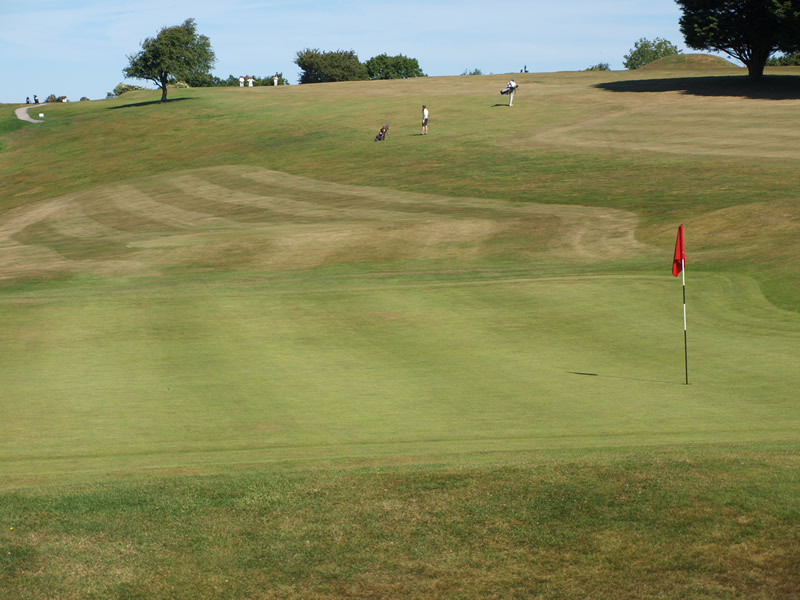 The green is an undulating one with many very tricky borrows. 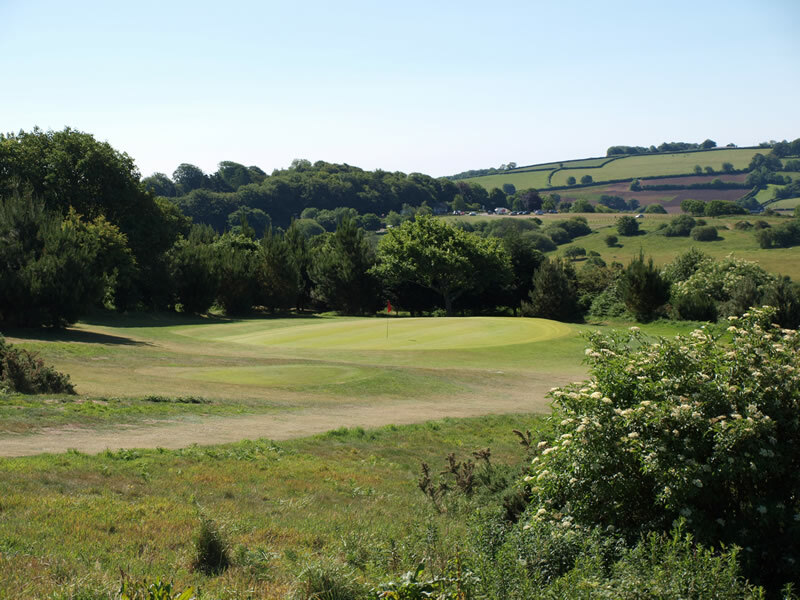 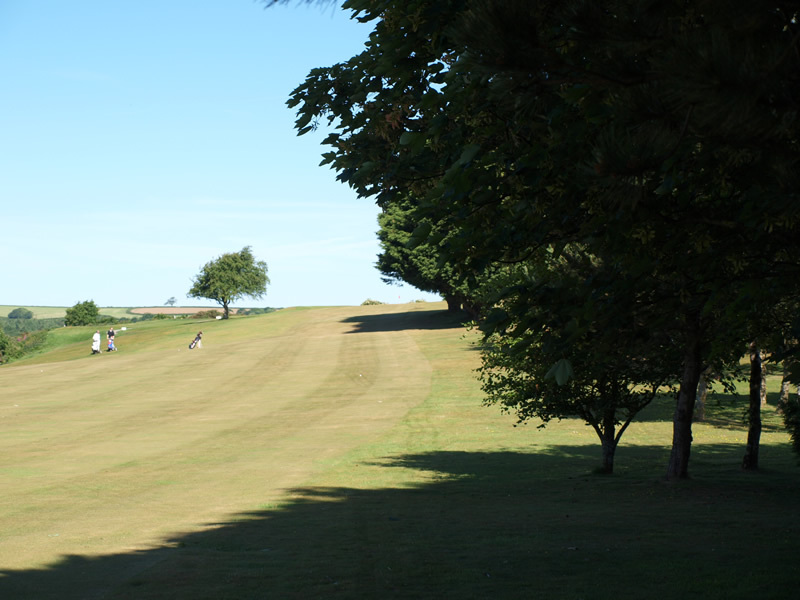 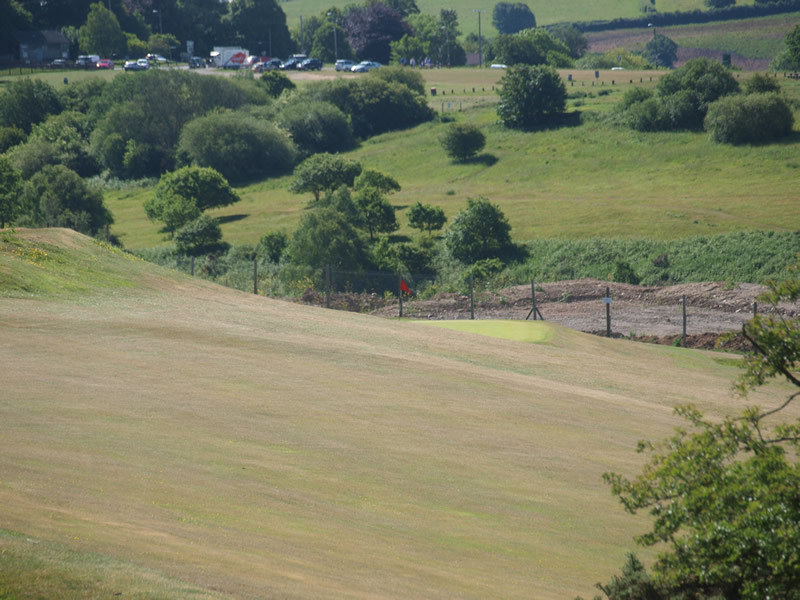 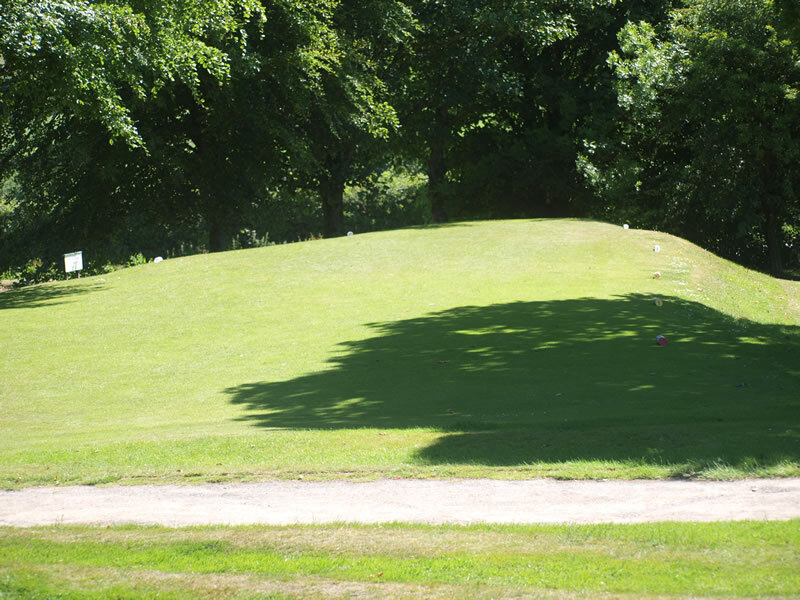 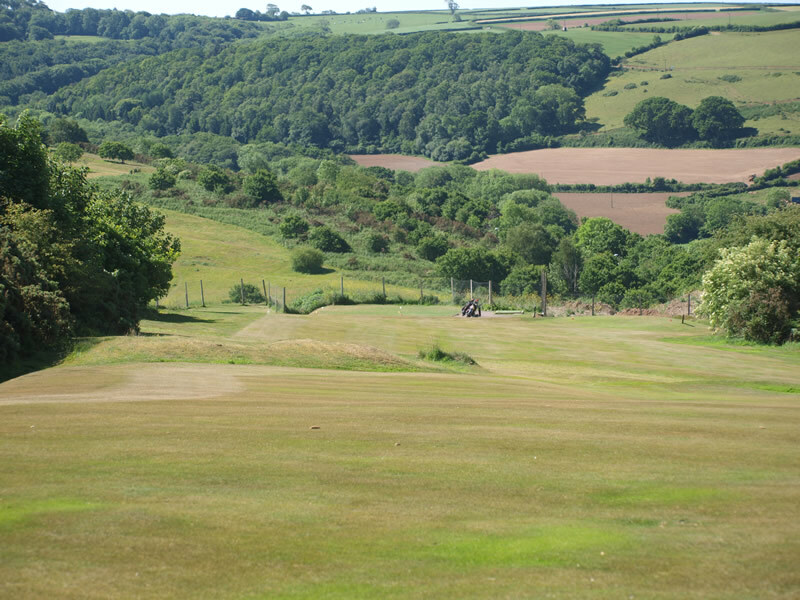 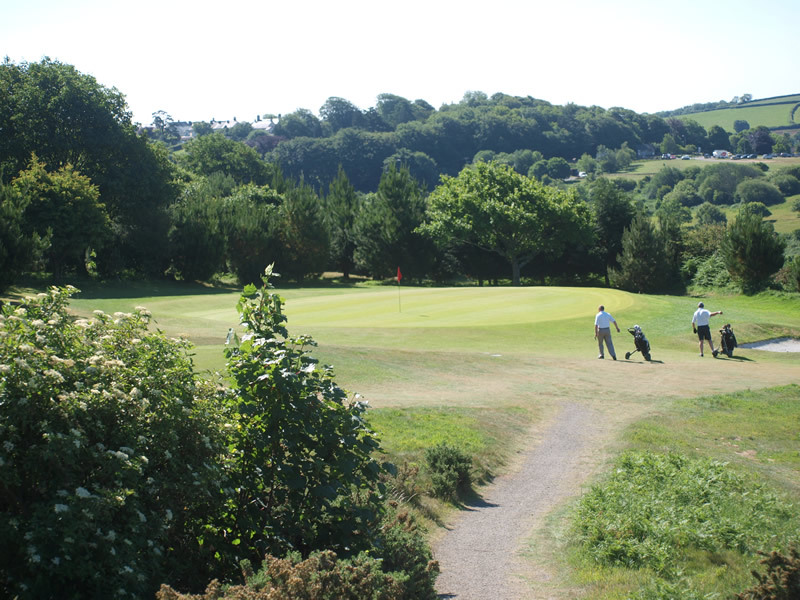 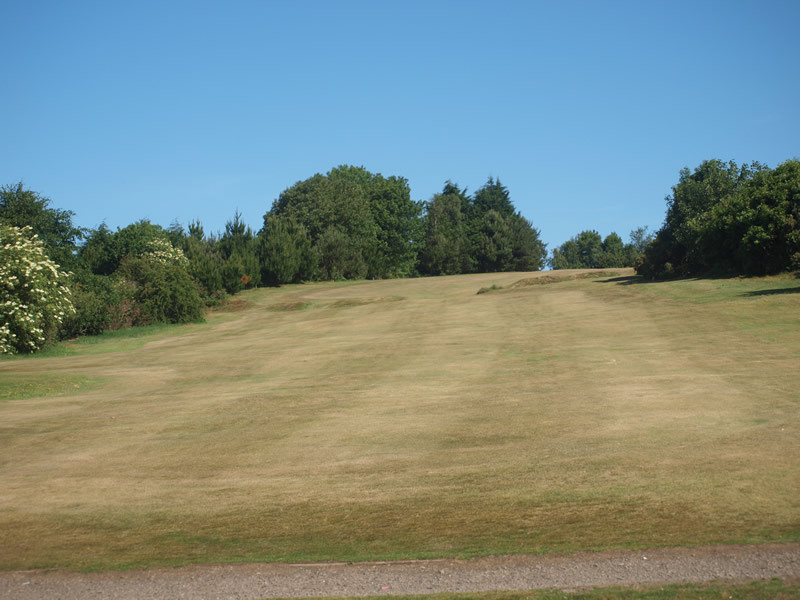 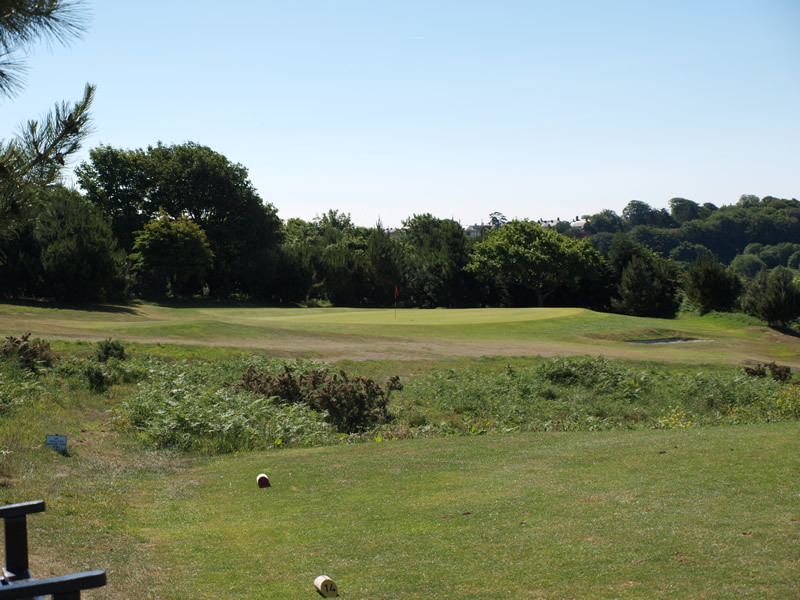 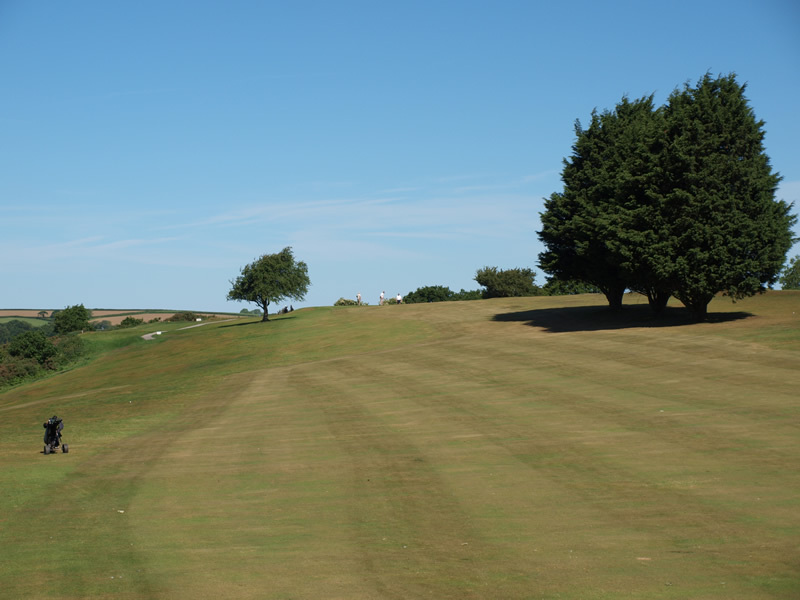 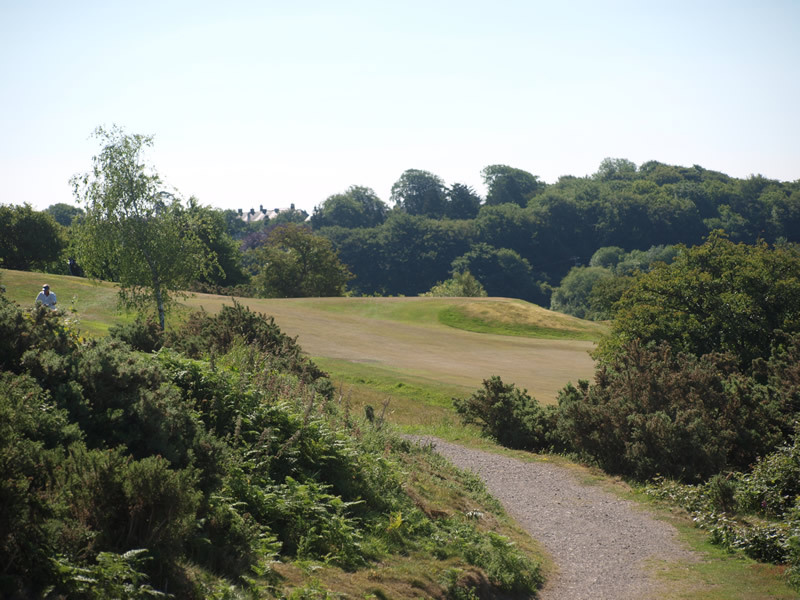 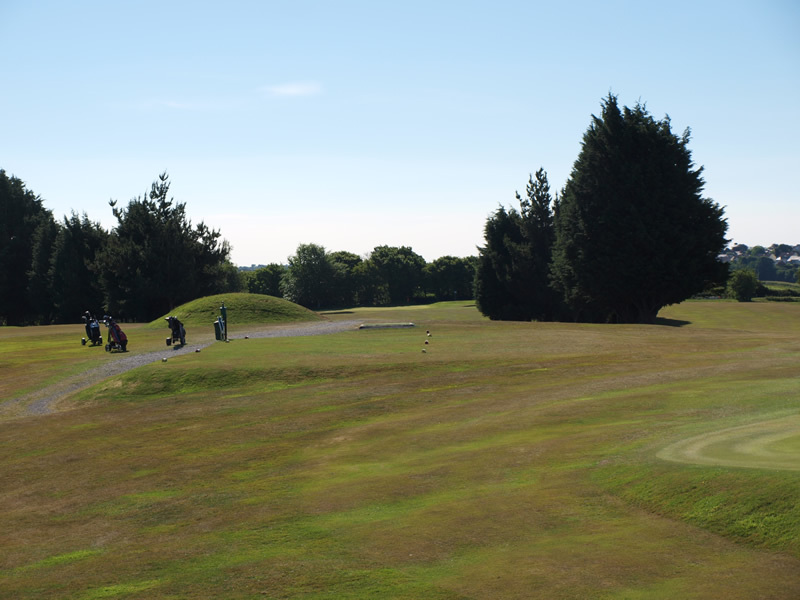 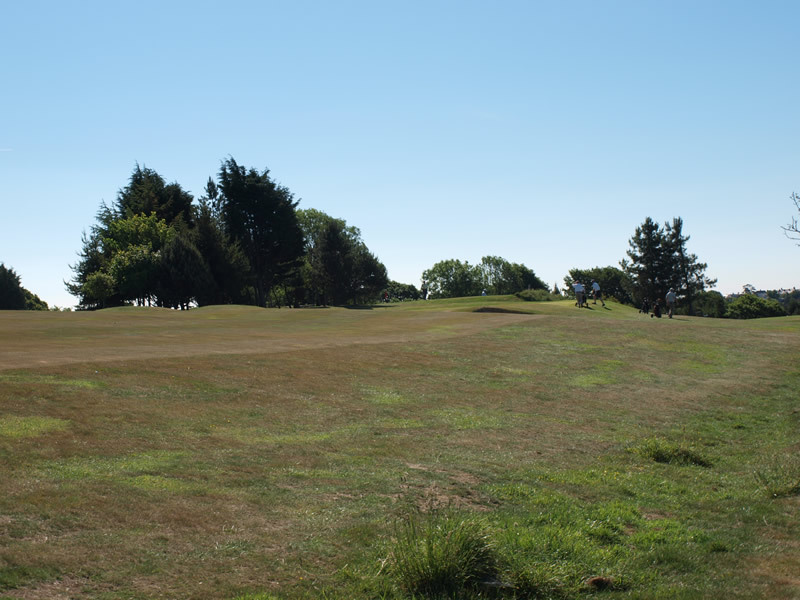 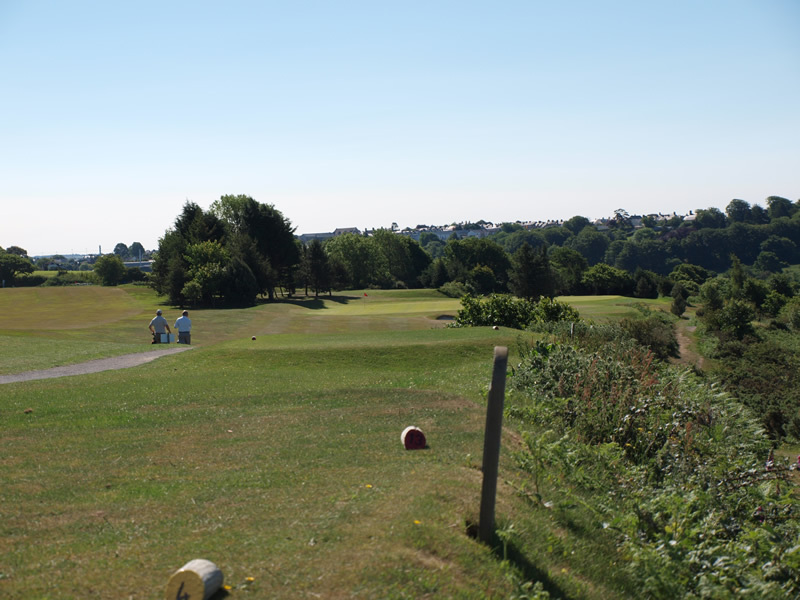 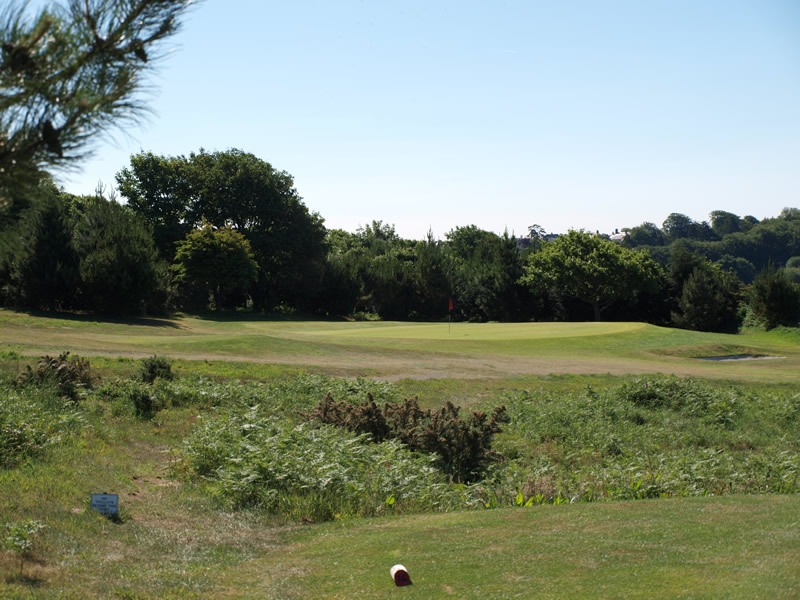 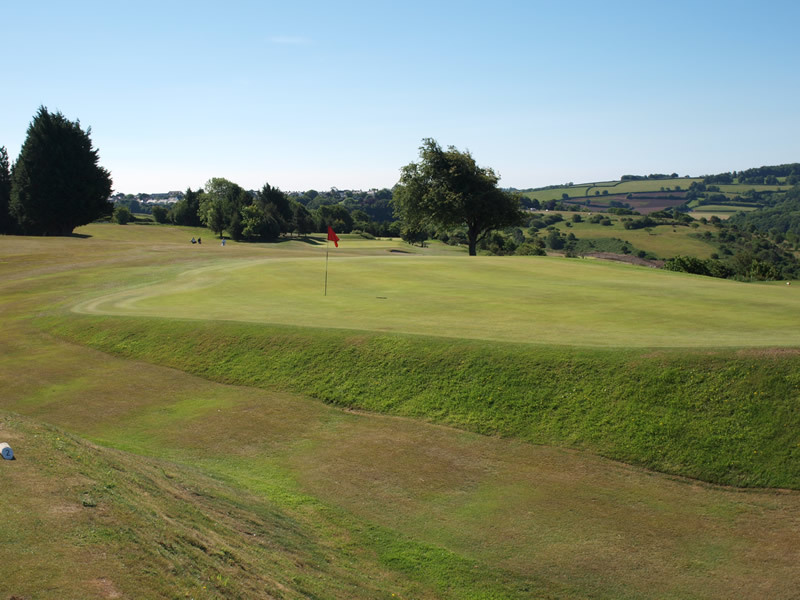 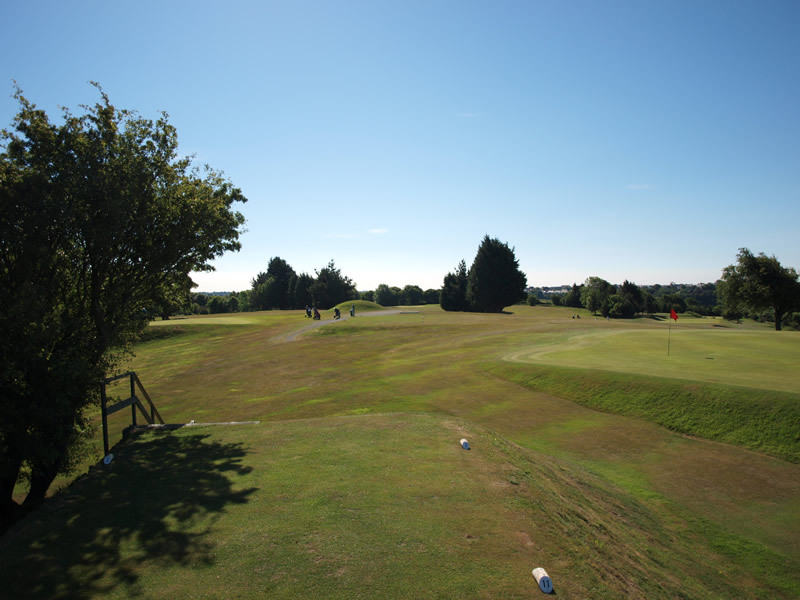 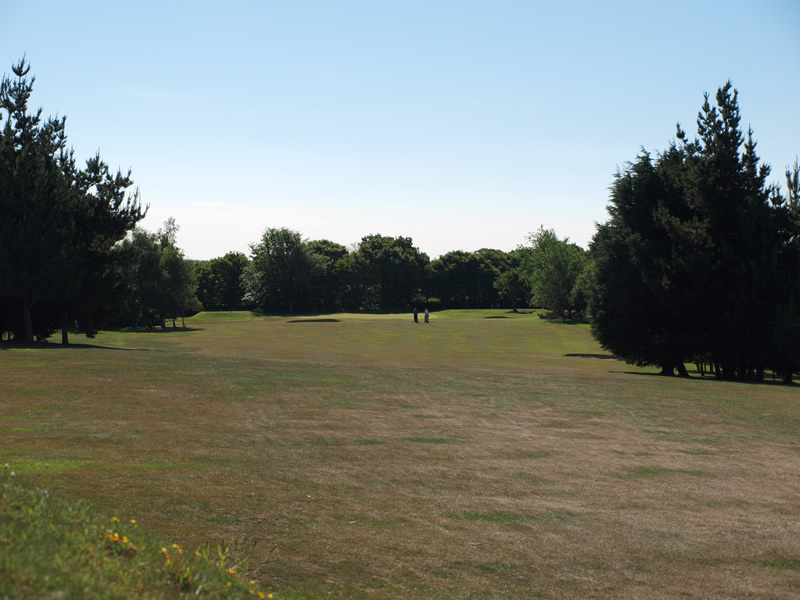 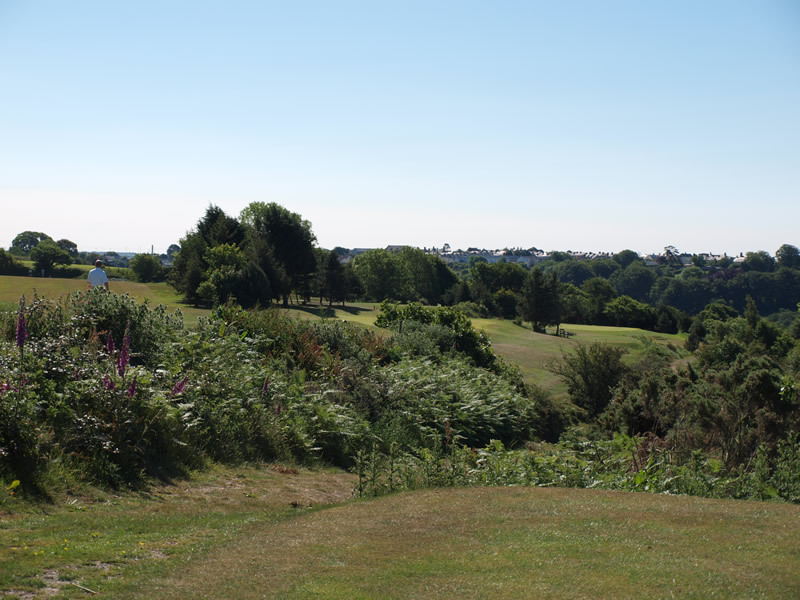 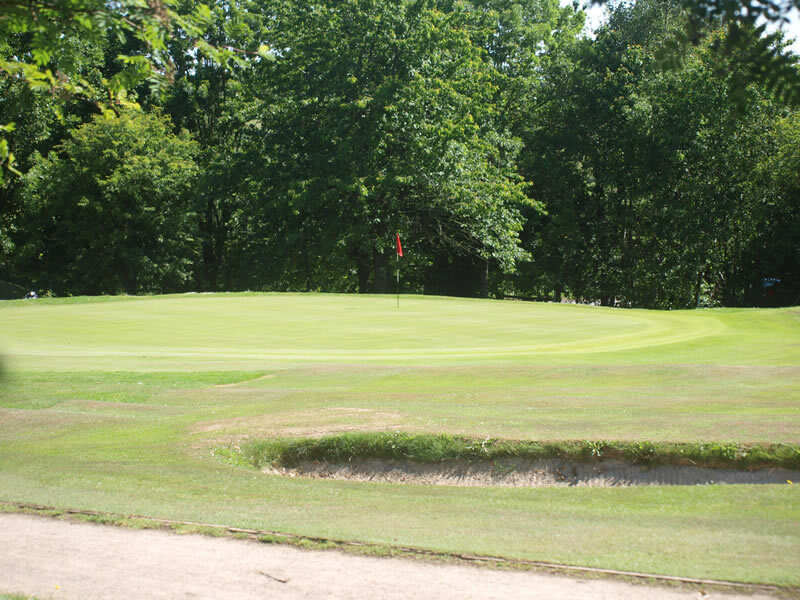 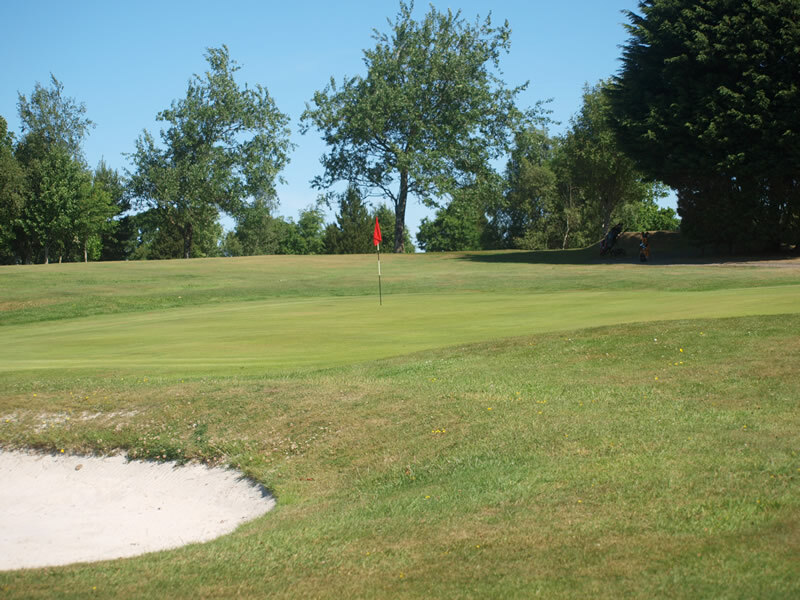 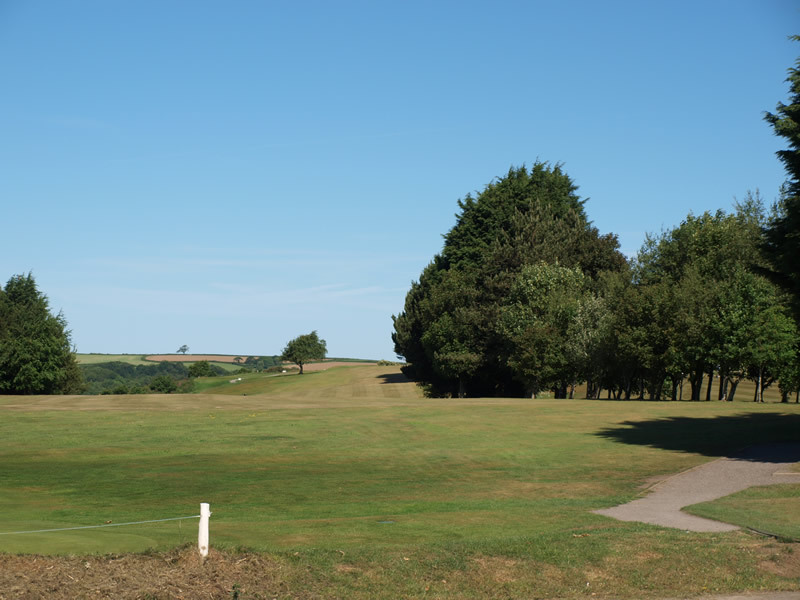 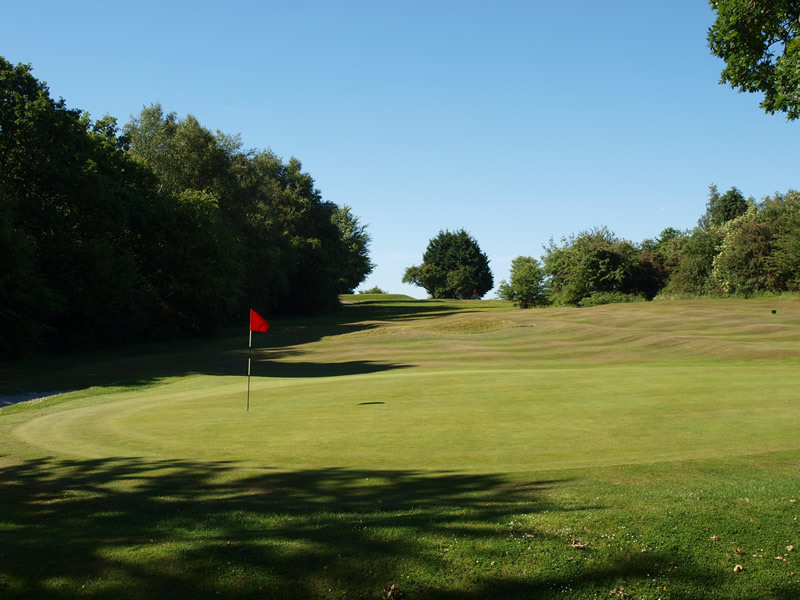 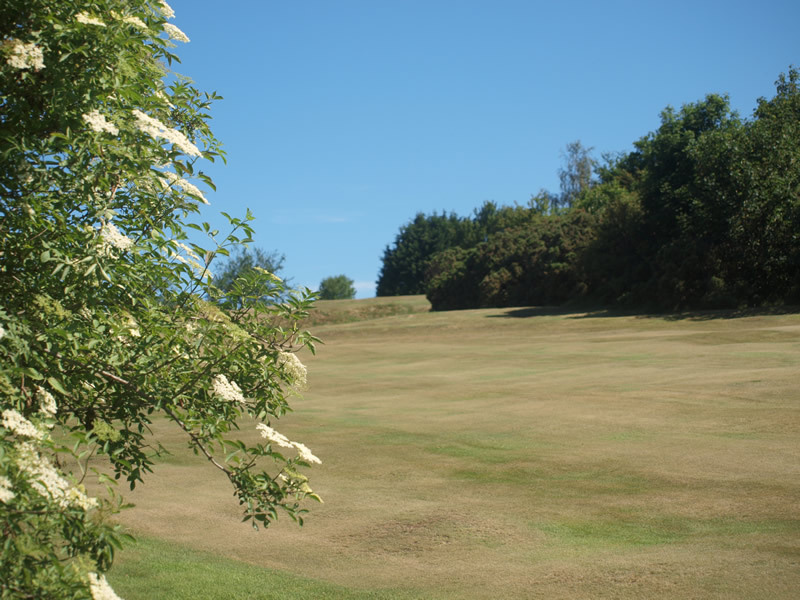 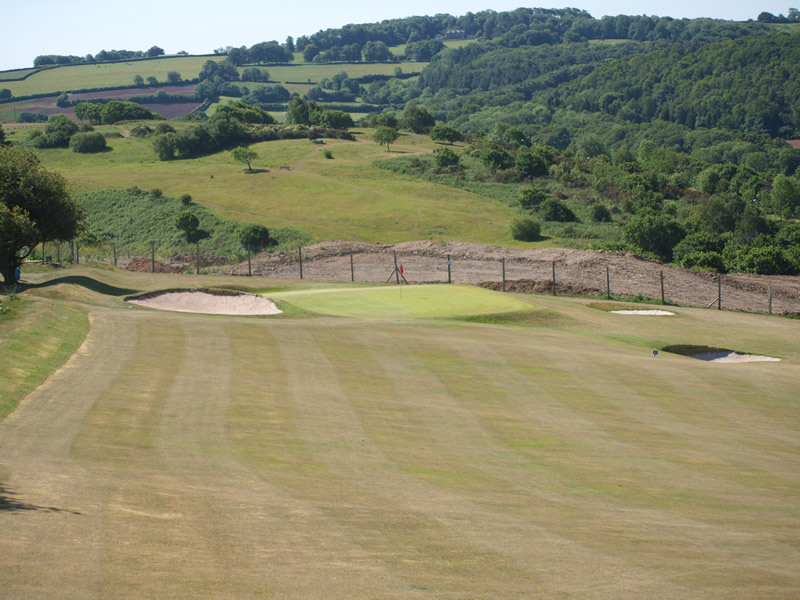 The Third Hole is a par four of some 375 yards, to a raised green on a plateau with run offs at left and rear. 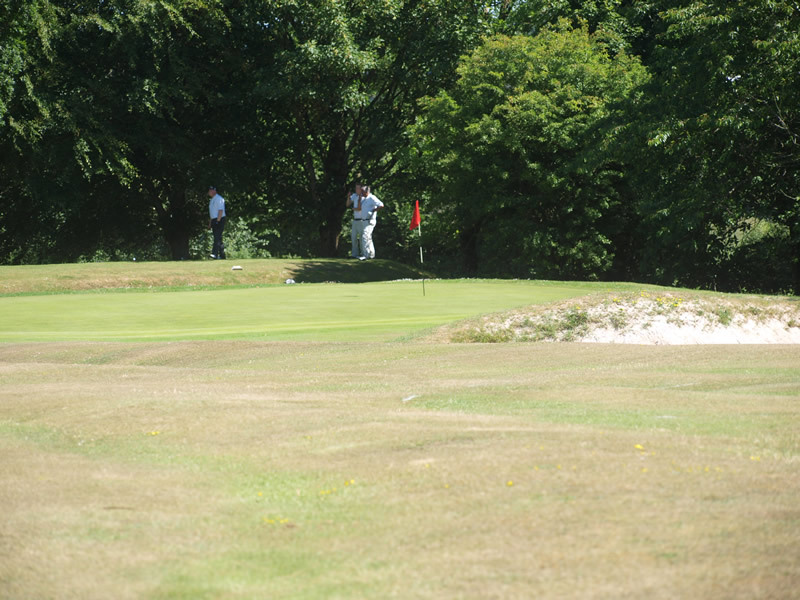 A generous green awaits and a couple of putts will secure a well earned par. 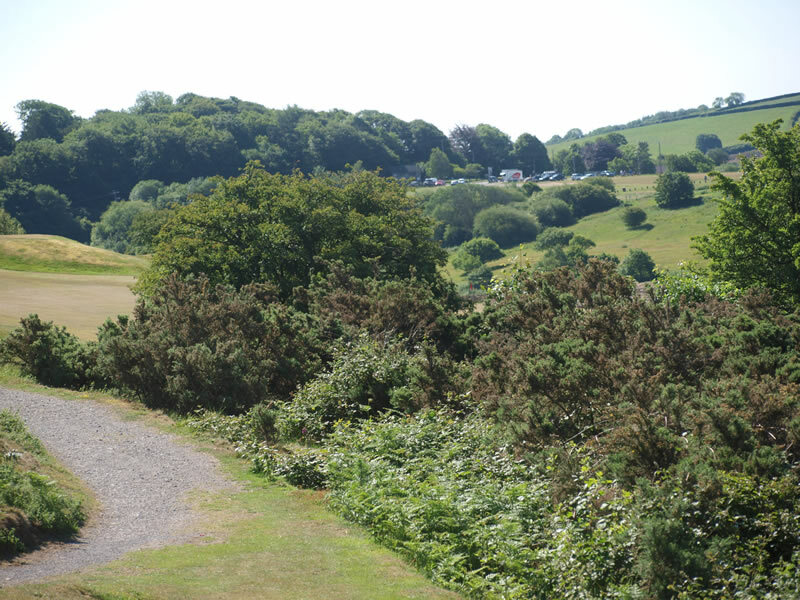 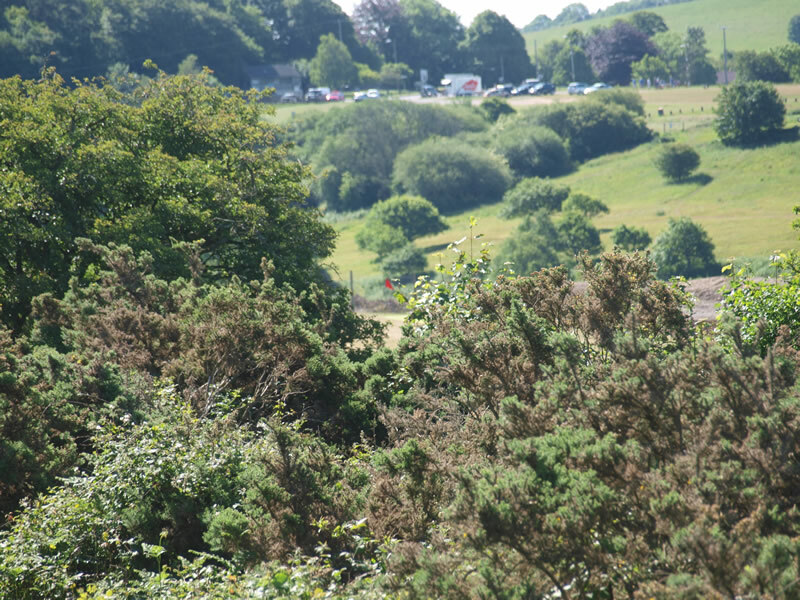 We now take in some breathtaking views on the most picturesque tee and the longest of our par threes. 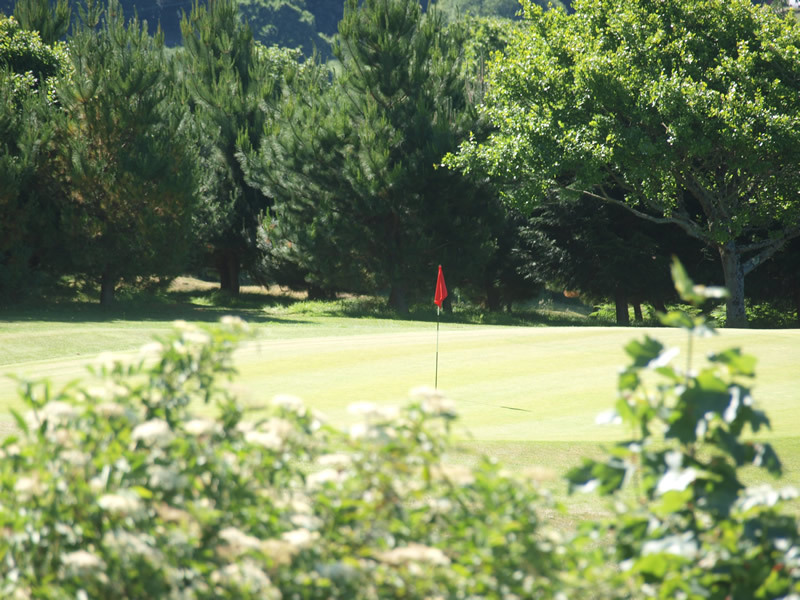 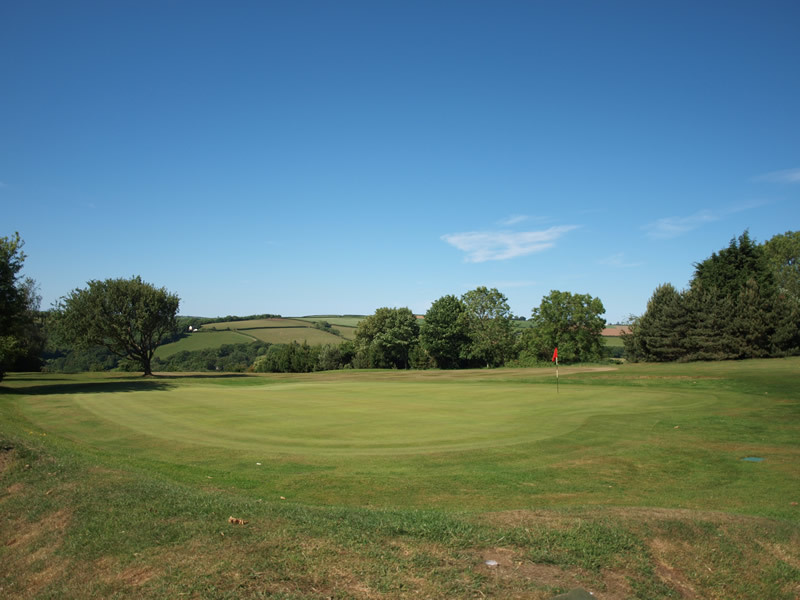 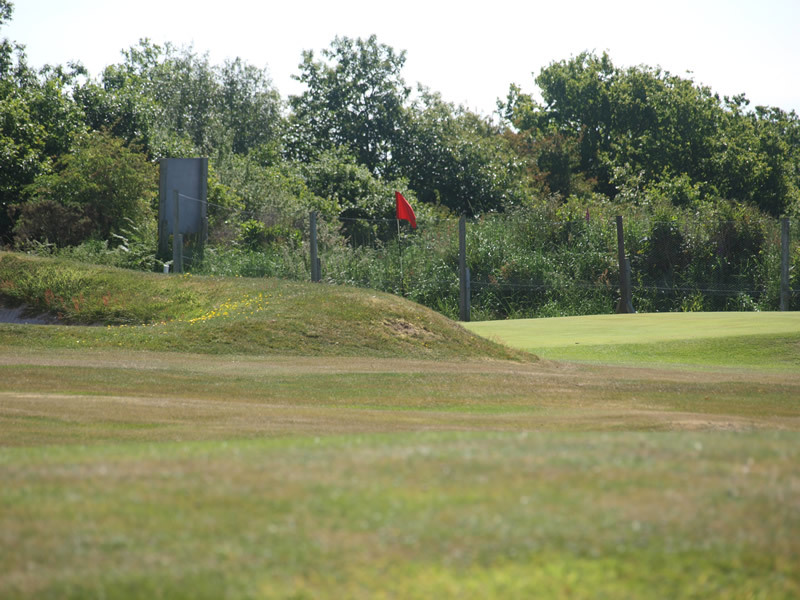 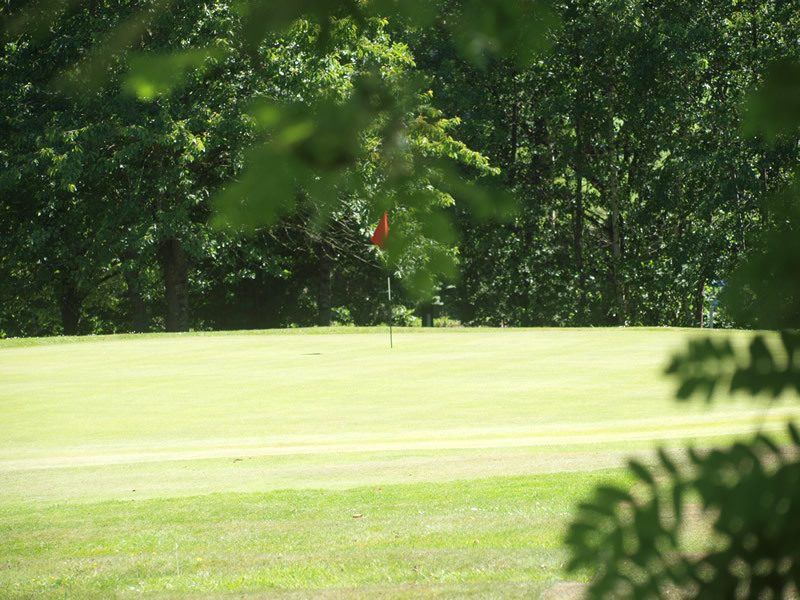 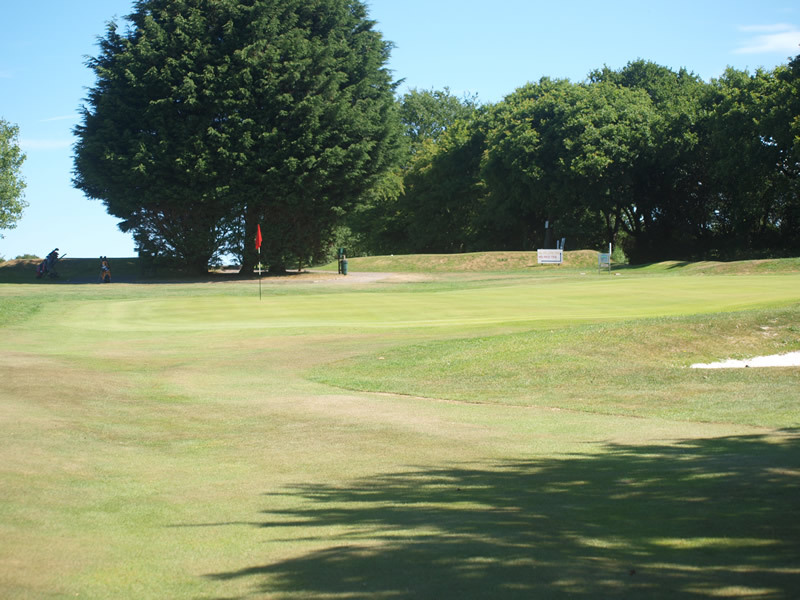 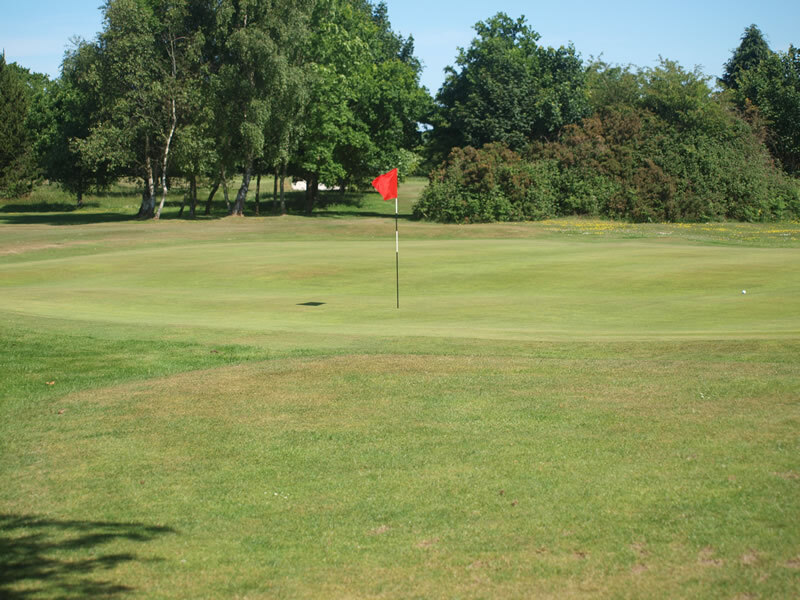 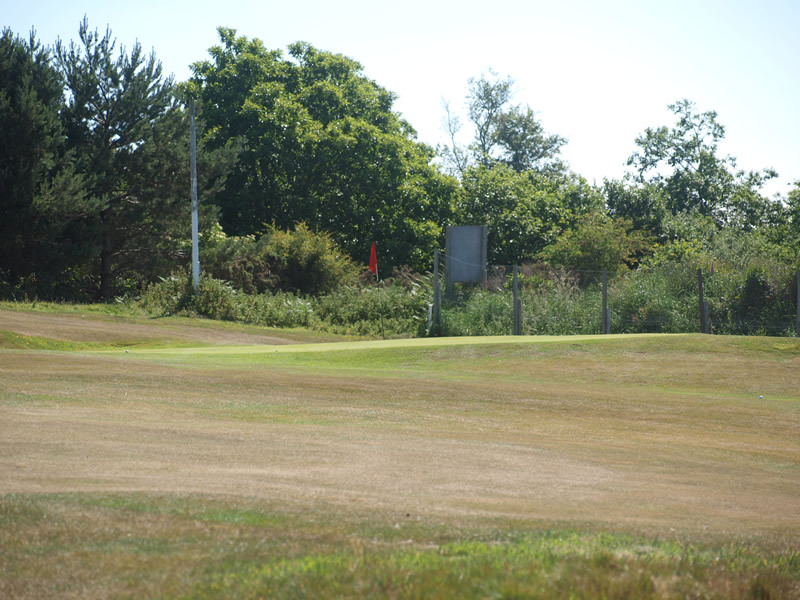 If the prevailing wind is against you it will take a solid strike to reach the putting surface, otherwise you will have a straightforward pitch shot to a generous green.